MADERA, CALIFORNIA (March 21, 2018) – An incredible spring of nationally-recognized Late Model and Super Late Model racing at Madera Speedway continues Saturday with the $5,000 to win SPEARS SRL Southwest Tour Season Opener 125. Madera Late Models, Legends of the Pacific, Modified Super Toyotas, and Toyota Sedans will also be competing at the fastest one-third mile in the west. The SRL event is the second in a string of five major stock car events through the end of April at the speedway. 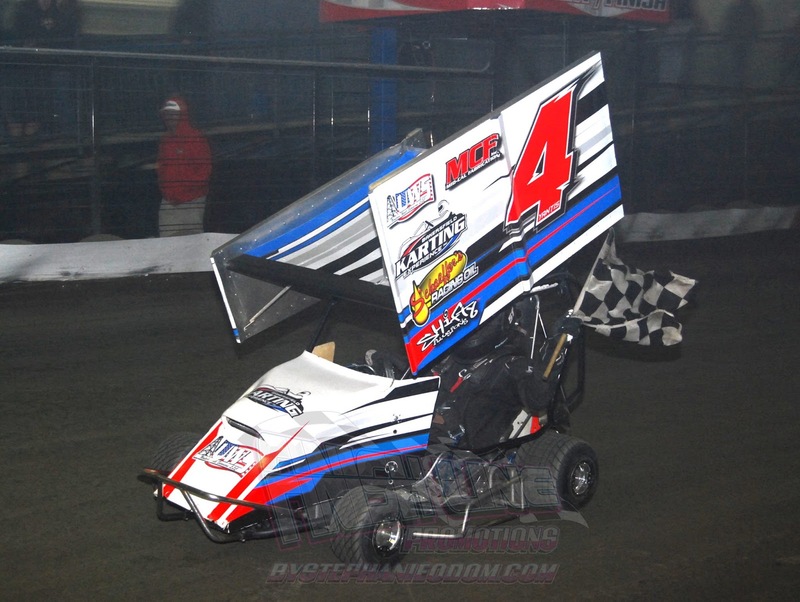 Matt Erickson won the $5,000 to win, MAVTV-televised RPM Mortgage Pro Late Model opener on March 10th. 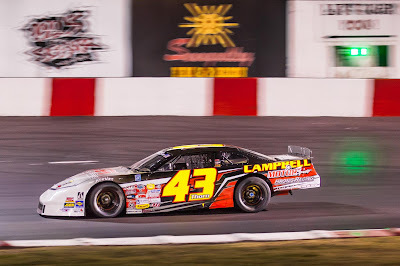 The RPM Series competes again on April 7th and April 28th while the Pacific Challenge Series Super Late Models will race on March 31st as well. 2015 and 2017 Madera Pro Late Model champion Buddy Shepherd of Bakersfield, CA headlines the entry list for Saturday’s SRL race. Shepherd finished second in the prestigious Winter Showdown at Kern County Raceway Park in February, but more notably is the defending SRL race winner at Madera from last July. Shepherd and four-time champion Derek Thorn of Bakersfield will go head-to-head on Saturday although Thorn is only running a part-time schedule this year. Madera Jr. Late Model winner Eric Nascimento, Jr. is among many drivers in the field with ties to the speedway along with Madera PCS winner Carlos Vieira. 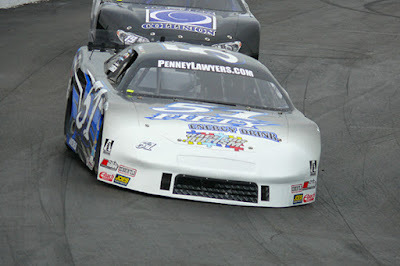 Linny White ran in the top-five in the season opener for the RPM Pro Late Models as a tune-up for his SRL campaign. Kolby Berry is a multi-time Jr. Late Model fast-time qualifier while Jack Wood had top-tens in both Madera PCS starts. Jacob Gomes owns two PCS wins at the facility while Jeremy Doss won a Pro Late Model feature in 2017. Nearly 30 cars populated the recent version of the entry list including nearly ten rookies. The Madera Late Model races on SRL nights have become a proving ground of their own, serving as breakout races for winners such as Logan Zampa and Eric Nascimento, Jr. One driver will make their mark if they can win Saturday’s 40 lapper. Saturday’s races serve as the season opener for every division competing except for the Toyota Sedans, who opened on March 10th with Jillaun Holden getting a narrow win over Dean Gould. Activities get underway Friday with practice, with gates opening at 2 p.m. and cars on track beginning at 4 p.m. Saturday’s races will be a March Matinee with Pit Gates at 9 a.m. and Grandstands at 10:30 a.m. The local divisions will qualify at 1:15 p.m. with heat races to follow. The Toyota Sedans and Modified Super Toyotas mains will begin at approx. 3 p.m. with opening ceremonies to follow. Late Model and Legends main events, SRL Southwest Tour qualifying, and the SRL Southwest Tour 125 will wrap up the program with an expected checkered flag of 8:30 p.m.
Tickets are value priced at just $20 for adults, $17 for seniors and military, $10 for youth ages 6-12, and kids five and under are free!